The two powdered tree barks in this herbal nutritional supplement have a soothing effect on the digestive tract, slowing the passage of food and increasing absorption of nutrients, firming stools and easing discomfort. 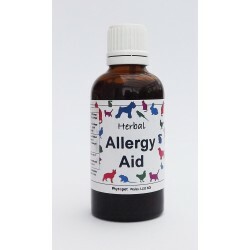 A licensed herbal medicine for the symptomatic relief of coughs and bronchial conditions; an aid to maintaining general health in dogs and cats. Keeper’s Mix is derived from a recipe developed by a Dorset gamekeeper and kennel-man and contains an impressive eight ingredients. A pure and natural product rich in vitamins A, D and E. Promotes good health, a shiny coat, bright eyes, stronger teeth and bones. SUPER STRENGTH CANINE & FELINE CORTAFLEX® HA SOLUTION A complementary feed supplement to support healthy joints in dogs and cats, as part of a balanced diet. Global Herbs Skratch Syrup for Cats is a gentle formula to help prevent itching in cats & smooth out digestive issues. JVP Garlic Tablets are a natural herbal conditioner for dogs and cats. Extra strength nutritional supplement Contains Glucosamine, Chondroitin, Omega 3, Green Lipped Mussel and a range of vitamins to offer older cats and dogs a better quality of life. For the maintenance of flexibility and joint mobility. A natural nutritional supplement containing Glucosamine, MSM & Chondroitin for healthy joint function. Ideal for times of stress caused by thunderstorms, fireworks & travel etc. A natural dietary supplement. Any supplements listed on this website are not designed to cure but to assist in helping specific conditions and their ingredients may have beneficial properties. IF YOU ARE IN ANY DOUBT ABOUT YOUR CAT OR KITTENS HEALTH OR CONDITION PLEASE CONSULT YOUR VET FOR FURTHER HELP, SUPPORT OR GUIDANCE.